SCVHistory.com | Film-Arts | Death on the Set of Twilight Zone: The Movie. Death on the Set of Twilight Zone: The Movie. 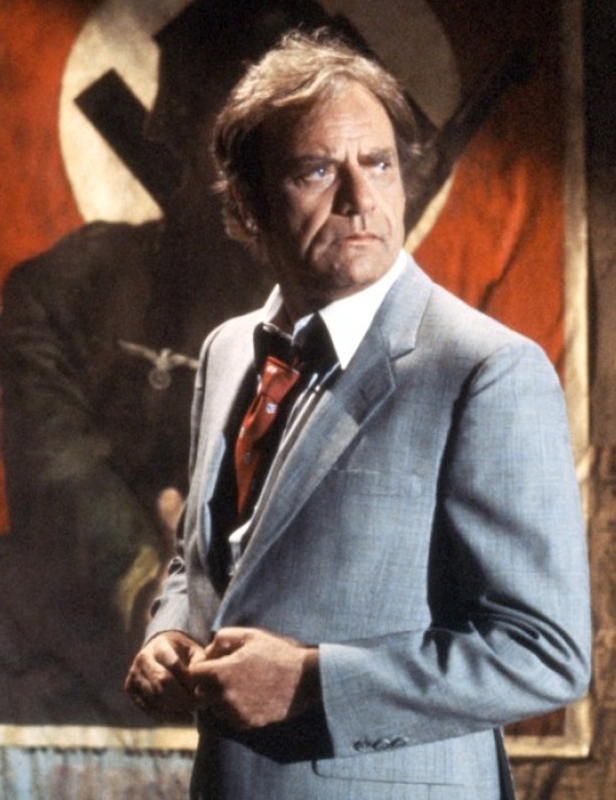 Helicopter Crash Claims the Lives of Vic Morrow and Two Child Actors. 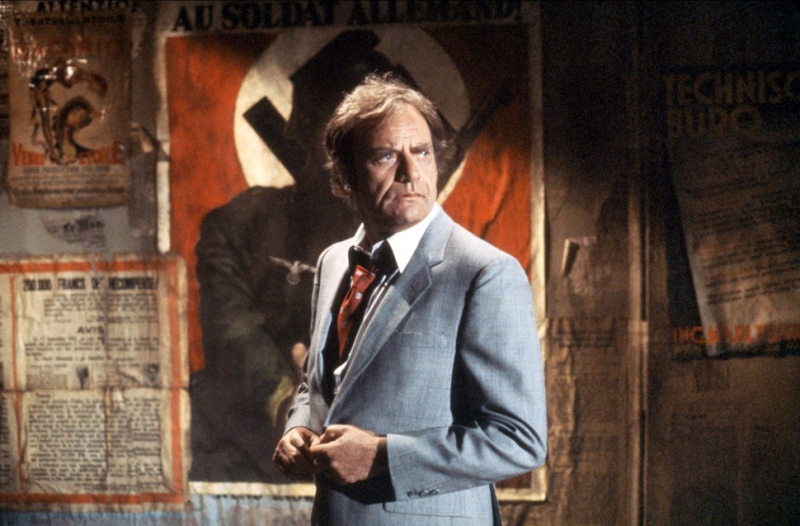 One of the most infamous aviation crashes in Santa Clarita's history involved an out-of-control helicopter that took the lives of 53-year-old actor Vic Morrow and two child actors during the filming of "Twilight Zone: The Movie" on July 23, 1982. The incident took place at Indian Dunes Park, a 600-acre ranch built in the 1960s by The Newhall Land and Farming Co. along the Santa Clara River between Santa Clarita and Piru. Indian Dunes over the years had hosted an air field and a motocross park, and it was the site of various movie and television productions including early silent films, Westerns, "Escape From New York," 'The Rocketeer," "China Beach," "The Fall Guy," "MacGyver" and "Baa Baa Black Sheep." In the movies, the site portrayed such exotic locales as Africa, Afghanistan, Burma, Central America and Vietnam. Sporting diverse scenery that could mimic a forest, desert or jungle, Indian Dunes — like Mystery Mesa — was popular with film production crews as it lay within the 30-mile zone from Hollywood which saved producers the cost of providing transportation and accommodations for the actors and crew. 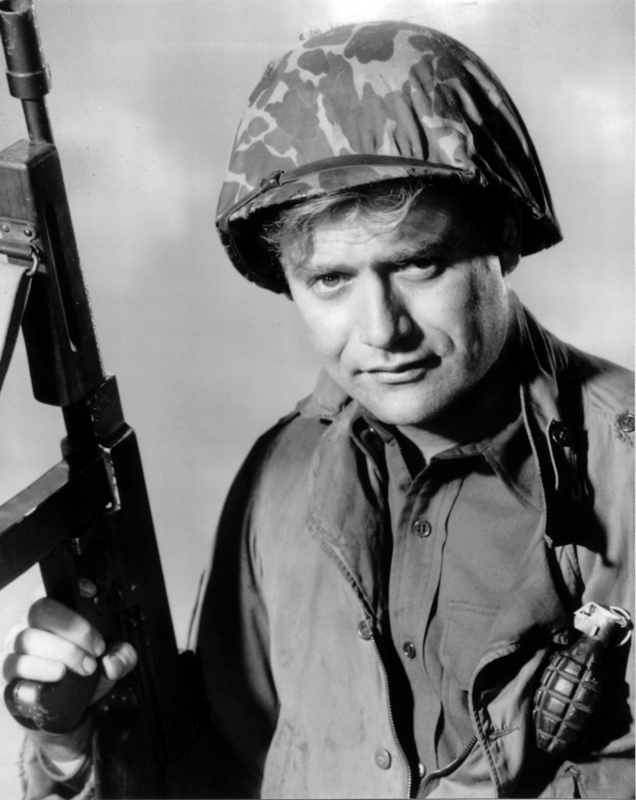 Vic Morrow, estranged father of actress Jennifer Jason Leigh ("Fast Times at Ridgemont High"), was most famous for his leading role in the dramatic World War II television series "Combat!" which aired from 1962 to 1967. In 1963, "Combat!" earned him a nomination for an Emmy award for Outstanding Continued Performance by an Actor in a Series (Lead). Morrow's character in "Twilight Zone: The Movie" is a bigot who is taught a lesson through role reversals — in this case as a Jew in Nazi-occupied France. Of note locally, some scenes in "Combat!" were shot in the desolate ashes of Gene Autry's Melody Ranch in Placerita Canyon following the devastating brush fire that destroyed the movie facility in 1962. Morrow's first movie role was in "Blackboard Jungle" in 1955. During his career, Morrow, usually typecast as the tough-guy villain, had guest roles on television series including "The Rifleman," "Bonanza," "Hawaii Five-O," "Mannix," "McCloud," "Mission: Impossible," "Roots," "Charlie's Angels," "Magnum P.I." and "Fantasy Island." "Twilight Zone: The Movie" was inspired by Rod Serling's cult classic television series "The Twilight Zone," which ran for five seasons beginning in 1956. Producer Steven Spielberg enlisted his friend, director Jon Landis, as co-producer of the movie, with Landis writing one of three segments that were to be based on original episodes of the television series. For his segment, Landis cast Morrow as the character Bill Connor, a raving bigot who leaves a bar to find himself alternatively in the Twilight Zone as a man mistaken for a Jew chased by SS troops in Nazi-occupied France; then as a black man in the Jim Crow South who is almost lynched by the Ku Klux Klan; and finally as a man mistaken as an enemy and attacked by American soldiers in Vietnam. Morrow's character would finally redeem himself when he comes across two Vietnamese orphans and carries them across a river to rescue them from an air attack in which an entire village is blown up behind them. To make the dangerous river attack scene, Landis illegally hired two Asian child actors and paid them in cash for their work to avoid placing their names on the payroll and violating child labor laws. Despite reservations voiced by his staff over safety concerns, Landis located 6-year-old Renee Shin-Yi Chen and 7-year-old Myca Dinh Le and cast them as the Vietnamese children to play in the fateful scene with Morrow. A Vietnamese village was created at the base of some cliffs along the south shore of the Santa Clara River. In violation of child labor laws, filming began on the night of July 22, 1982. The nighttime shoot was uneventful except for several delays in filming that were caused by the children's laughter in response to Morrow's humorous attempts to put them at ease. The following night, filming of the climactic air attack scene was to take place. At 2:20 a.m., Morrow took his place in the Santa Clara River with a child under each arm. Landis ordered helicopter pilot Dorcey Wingo to fly lower as explosives were set off. Fireballs rose into the night sky, coming too close to the aircraft and causing Wingo to lose control of the helicopter. The chopper plunged into the river on top of Morrow and the children. All three were killed instantly; Morrow was decapitated by the helicopter's whirling main rotor. Upon witnessing the burgeoning tragedy, Landis ironically shouted, "That's a wrap! Leave your equipment where it is. Everyone go home. Please, everyone go home." The probable cause of the accident was the detonation of debris-laden high temperature special effects explosions too near a low flying helicopter leading to foreign object damage to one rotor blade and delamination due to heat to the other rotor blade, the separation of the helicopter's tail rotor assembly, and the uncontrolled descent of the helicopter. The proximity of the helicopter to the special effects explosions was due to the failure to establish direct communications and coordination between the pilot, who was in command of the helicopter operation, and the film director, who was in charge of the filming operation. The families of the deceased actors filed a series of lawsuits against Warner Bros. Studios, Landis, Spielberg and others involved in the production. A grand jury convened to determine if the actions taken that night rose to the level of criminality. On June 15, 1983, Landis and each of two associates who assisted him in making the movie were indicted and charged with two counts of manslaughter in the deaths of the child actors. Landis faced three additional counts of manslaughter for "aggravated, reckless, grossly negligent" acts resulting in the deaths of Morrow and the children. 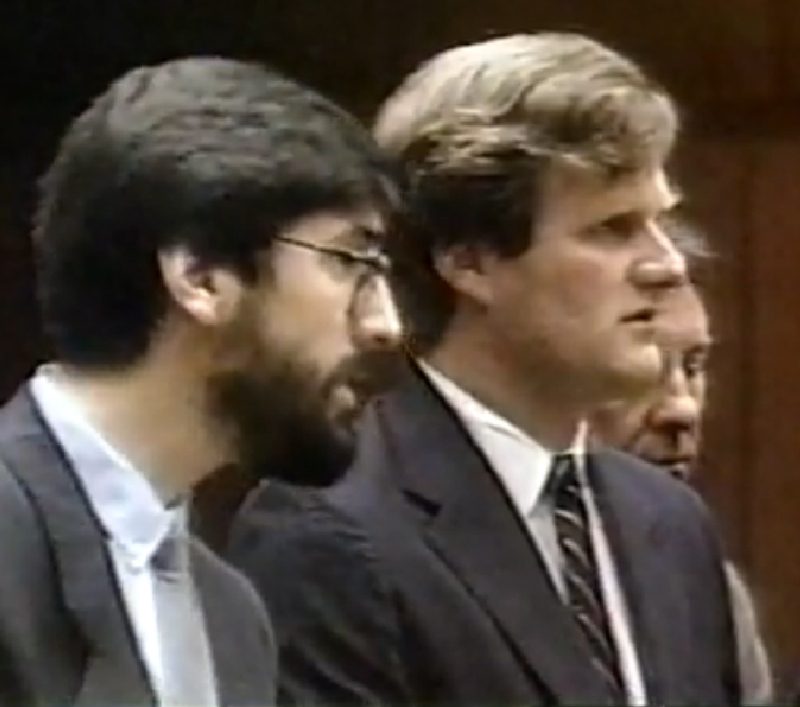 In 1986, four years after the incident, Landis was brought to trial. On May 29, 1987, after a lengthy and contentious trial, the jury acquitted him. He went on to direct such successful movies as "Coming to America" (1988) and "Beverly Hills Cop III" (1994), both starring Eddie Murphy. 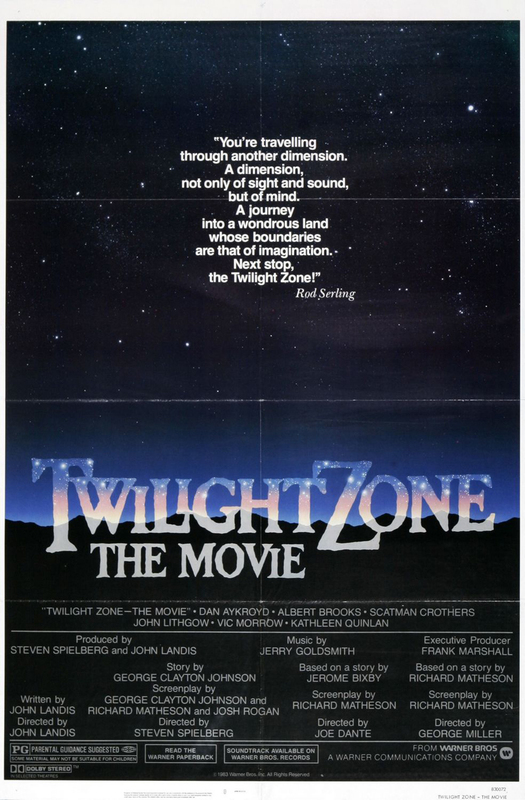 As for "Twilight Zone: The Movie," it opened June 24, 1983, to dismal reviews but was financially successful. Morrow's tragic scene was cut from the film. Said Time Magazine critic Richard Corliss: "The story hardly looks worth shooting, let alone dying for."